The Alliance For Full Acceptance (AFFA) held their Annual Gala at the Gaillard Center on Saturday, October 14th and featured a spectacular gourmet menu that our team here at Duvall was lucky enough to work on. For the past 19 years, AFFA has been the voice and face of the LGBTQ community in the Lowcountry. Their mission is to achieve equality for the LGBTQ community, a cause that is near and dear to our hearts. It has been honor to be able to work closely with both AFFA and Charleston Pride this past year. Attended by nearly 400 guests, this year’s AFFA Gala included a silent auction, presentations, performances, and a live auction. We thoroughly enjoyed planning an autumnal menu for their plated dinner that included a dual entrée featuring a seafood and a meat. Also present and very involved in the organization were Sara Cavallon of Sara Cavallon Celebrations and Shawn Rabideau of Shawn Rabideau Events, both of whom are some of the industry’s top event planners in the Lowcountry. Our team at Duvall loves working closely with event planners to make clients’ visions a reality and we have thoroughly enjoyed working with both Sara and Shawn in the past. 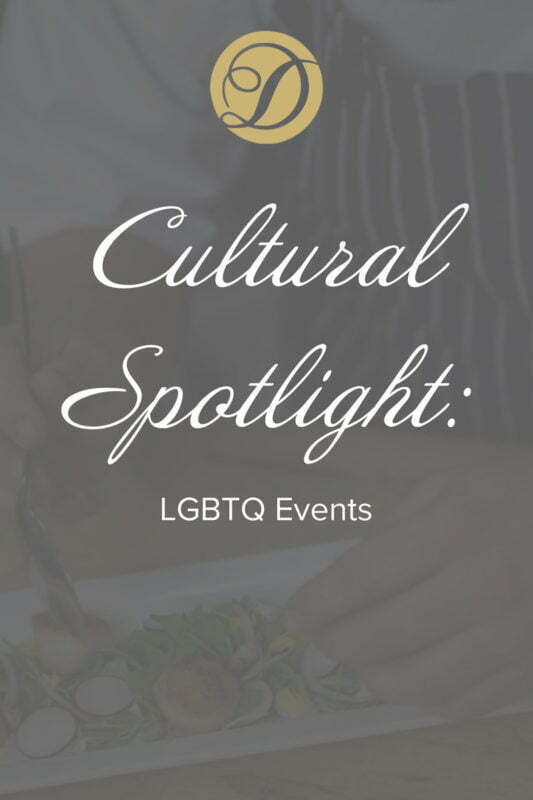 In addition to being able to cater this year’s AFFA Gala, we were also excited to work with Charleston Pride for the third year in a row. We were thrilled to be able to donate food to the VIP tent during the Charleston Pride Parade. Our Decor Team also has a great time providing decor, decorations and details to jazz up the tent, which is a go-to location for Pride’s major event sponsors and donors. Duvall is also a proud sponsor of Charleston-based Beau Magazine. The publication is designed to fashionably integrate and empower the LGBTQ community with mainstream society. Check out their online issues here. We have been lucky to work with a number of incredible gay and lesbian couples to plan their weddings. Visit our Flickr album here to view one of our favorite weddings. We had a wonderful time planning the details for Eric and Chris’ nuptials on Folly Beach. To quote Beau Magazine, “we provide an atmosphere for everyone under the rainbow to express their voice”. And we are proud to welcome, support and provide services to any couple planning their dream wedding. Our support of the LGBTQ community will only continue to grow. Duvall has a long history of supporting the LGBTQ community in Charleston. Our founders, Peter “Stephen” Milewicz and Dan “Duvall” Stephens were a loving, creative couple who knew how to throw a party. We have loved ALL love since Duvall’s establishment in 1978.